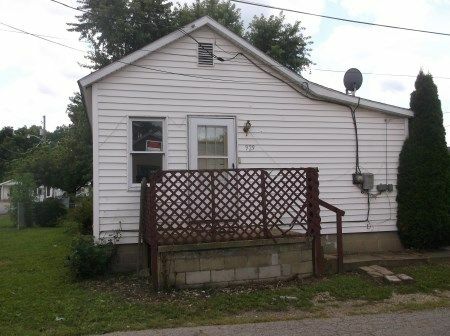 Auction 1: 929 Clinton St., Circleville, OH at the corner of Clinton St. and Margaret Lane $5,000 Minimum Bid. Property sells at 6 PM. Being a 4 room 1 bath home with block foundation, 100 amp breaker box, shingle roof, vinyl siding, crawl space, gas furnace and back yard. Kitchen has updated cabinetry. Property with public water/sewer/gas. All of this is situated on a nice level 40’ by 68’ lot. Previously rented for $500 per month. 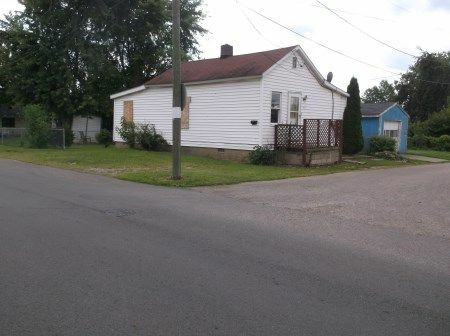 Real Estate Terms: Minimum Bid $5,000; $5,000 down at time of sale cash/check with positive photo ID; balance and possession upon delivery of deed on/before October 26th 2013; Sold As-Is; no buyers contingencies; no warranties or guarantees expressed or implied; information provided to be used strictly as a guide. Taxes & Legal: Pickaway County Parcel #:A0541020002301; Net Annual Taxes: $470.54.